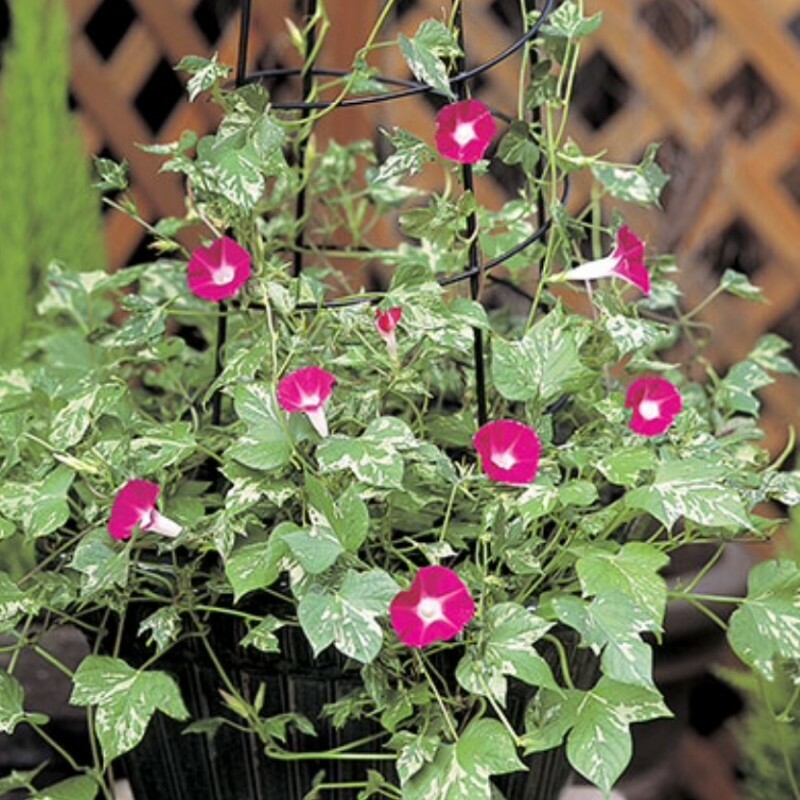 If ever there was a morning glory made for container or hanging basket use, this is the one. With variegated leaves of light green and white, this beautiful vine displays brilliant rose-red blooms and a prominent white throat on relatively short vines. 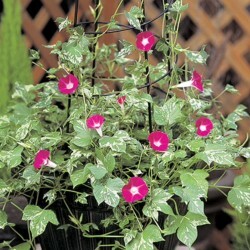 Easy to grow, Cameo Elegance is a good choice for containers or ground cover. 25 seeds with growing instructions.